It was organized on 1st April 1919 at Yokosuka, shinagawa Prefecture. 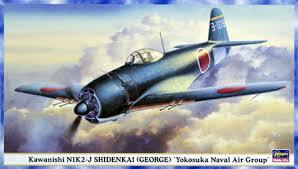 It is the oldest air group in the Japanese Navy, and it remained in existence until the end of the Pacific War. From its earliest years, its primary missions were the training and research. This group became the mecca of navy fighter pilots as a center for training in dogfighting, and it was the home base for a number of “flying circuses” that put on acrobatic performances for the Japanese public. By 1930s, too, the air group’s fighter squadron was flight-testing aircraft under the research by the Naval Air Arsenal. It was not assigned a combat role until 1944 in the Marianas.